HomeEditorialsRaging Chicken Coming Next Week! Get Your Gear Now! The articles are in and the editing is underway. Next week the first “issue” of Raging Chicken Press will hit the interwebs. If you want to stay up-to-date on Raging Chicken articles, reports, and commentary why not subscribe? 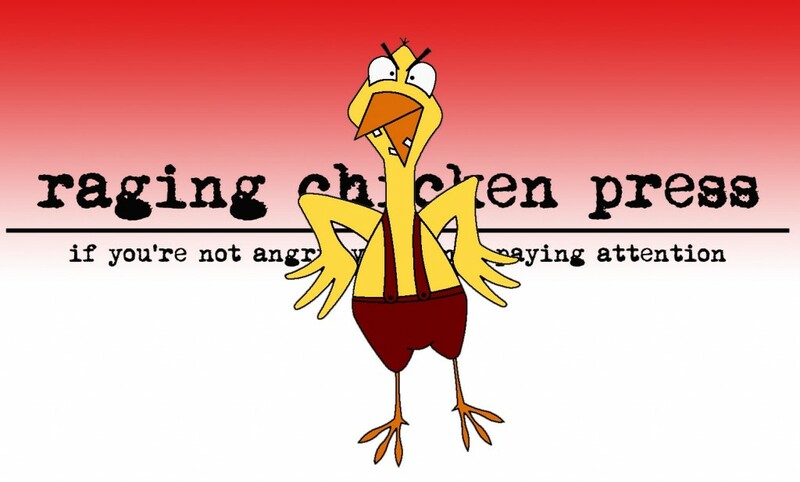 It doesn’t cost a thing and you will receive all the latest from Raging Chicken Press right in your email inbox. As a subscriber you’ll also be notified of discounts and chances to win Raging Chicken gear. 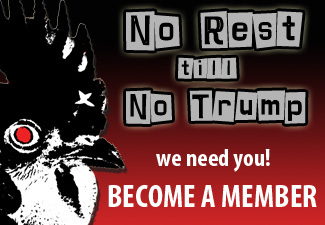 For those of you who have been with us from the very beginning (that’s only a couple short months ago) you know that Raging Chicken Press is a self-sustaining, primarily volunteer operation. Our operating costs are low at this point, but we hope to expand our work with on-the-ground reporting, interns, and material support of activists and emergent movements. If you are interested in helping support Raging Chicken Press, there are many ways you can do so. 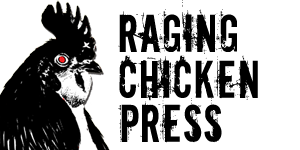 On the right-hand side of the site, you’ll see a PayPal donate button, search boxes for Powell’s Books and Amazon.com, and our Raging Chicken Press store featuring t-shirts, bumper stickers, buttons, posters, and more. You can use any one of those sites to help support truly independent, progressive media in Southeast Pennsylvania and beyond. But wait! There’s more! If you buy something before August 31st, you can get additional discounts using Zazzle promo codes. Click here to find discounts on t-shirts, bumper stickers, mugs and more. Well, that’s the update for now. We’re going to shoot for early next week for the big launch. We’ve got all sorts of good stuff on the budget cuts, war on education, and more. Subscribe now and you’ll be the first to know! See you next week!